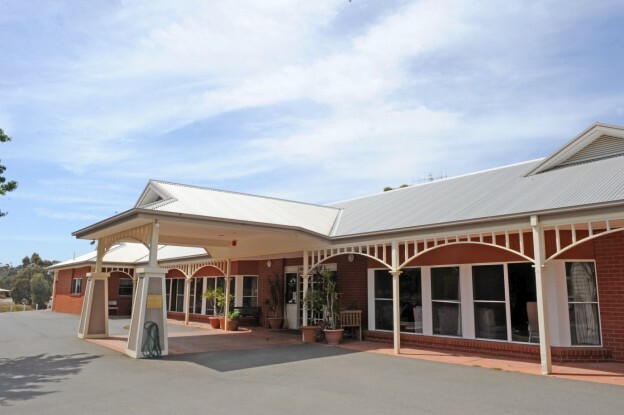 Waranga Aged Care Hostel is an accredited residential aged care home catering to the needs of up to 31 permanent residents and one designated respite room. The Hostel is situated in High Street, Rushworth, a historic gold mining town in north-central Victoria. It is set among spacious lawns adjoining the local retail area, consisting of a supermarket, pharmacy, bank, post office, bakery and specialist stores. Areas of community interest are easily accessible. Waranga Aged Care Hostel comprises a central lounge and dining room, which ensures that meals are communally enjoyed in a social and friendly environment. The Hostel consists of three wings, each containing resident rooms and a lounge room, which may be booked for family functions. Each lounge room opens onto an outdoor area. Barbeque facilities are available. Resident rooms each contain a private ensuite, built-in wardrobe, an electric bed to ensure comfort and safety, an armchair and a bedside table. A hobby shed, shade house, and raised vegetable gardens offer the opportunity for residents to participate in activities of interest that maintain independence. Care and treatment is provided by a multidisciplinary team, consisting of a medical practitioner, geriatricians, allied health, care manager and diversional therapists. Enrolled nurses and personal care workers provide 24-hour care. This combination of private and communal lifestyle options deliver considerable freedom for residents to exercise their independence while enjoying the support and social interaction that is a feature of the Waranga Aged Care Hostel. Respite care charges are based on the Commonwealth Government prescribed fee. For more information about fees and how to get an Aged Care Assessment, please visit the My Aged Care website.